Trust only the best beard scissors to maintain your beard and moustache in tip top shape. 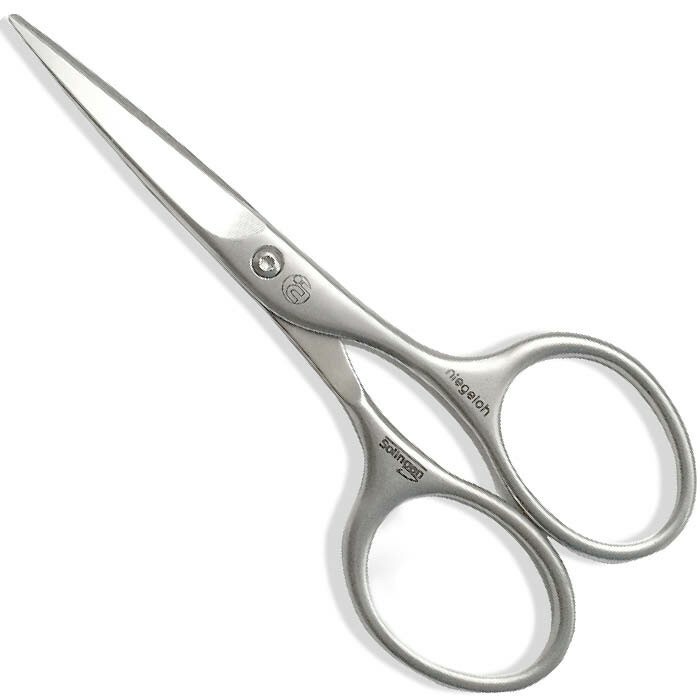 Zohl Sharptec scissors are made in Solingen Germany of rust proof Inox stainless steel, these sharp beard scissors boast innovative design to allow ideal balance and optimal control when creating the most attractive style for your beard and Mo. German heritage is a guarantee the scissors will stay sharp for many years without sharpening, while strong grade steel ensures the cutting edge trims your facial hair neatly and easily, without unpleasant pulling. The ultimate beard scissors that perform and last. Length 11 cm. Whether you are already having the beard or just thinking of growing one, these German beard scissors by Zohl Solingen will take the best care of your whiskers. 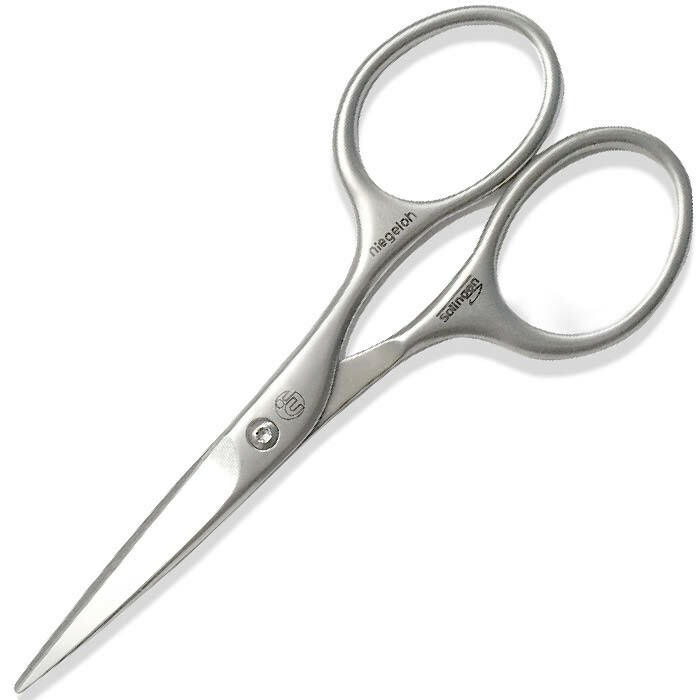 Zohl beard trimming scissors are crafted in Germany and represent undoubtedly top quality for men who like the best grooming tools close to their skin. 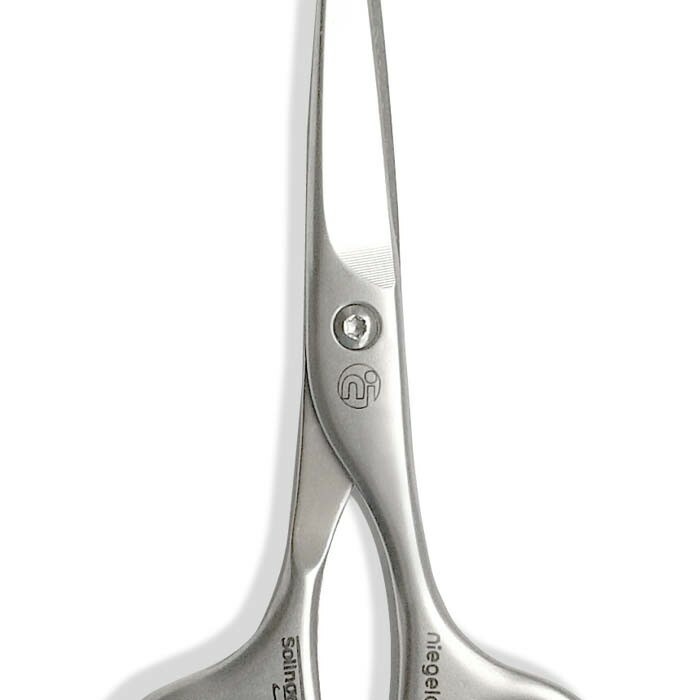 The beauty of these Solingen made beard scissors is hot forged stainless steel Inox which will keep the blades perfectly sharp for many years. Meticulous hand sharpening means the cutting edge will give you sought-after precision and leave no stray hair. So every time your beard or Mo is due for a trim, you can confidently trust these beard and moustache scissors will give you a clean cut. 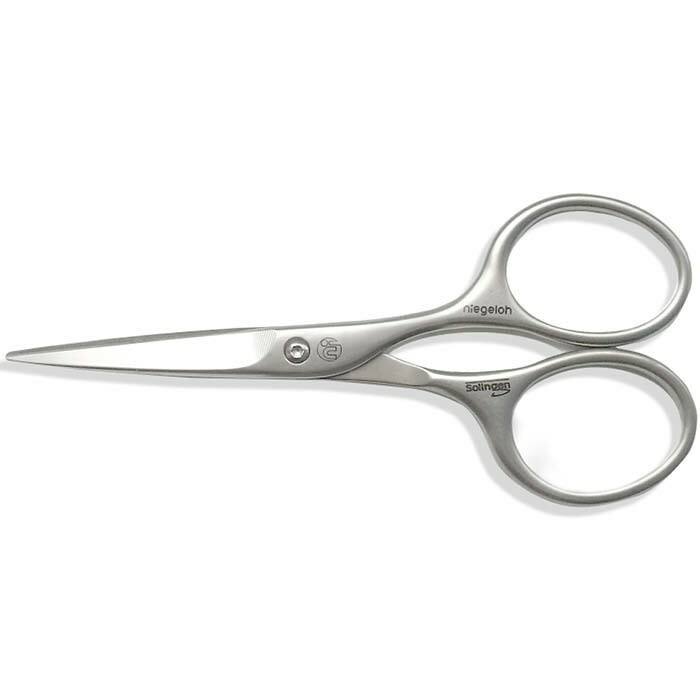 The scissors are perfectly balanced with a manually fixed Torx screw, resutling in the exceptionally smooth cut of facial hair. Men with larger hands especially like the large grips made for further comfort and precise trimming of the facial hair. Length 11 cm. 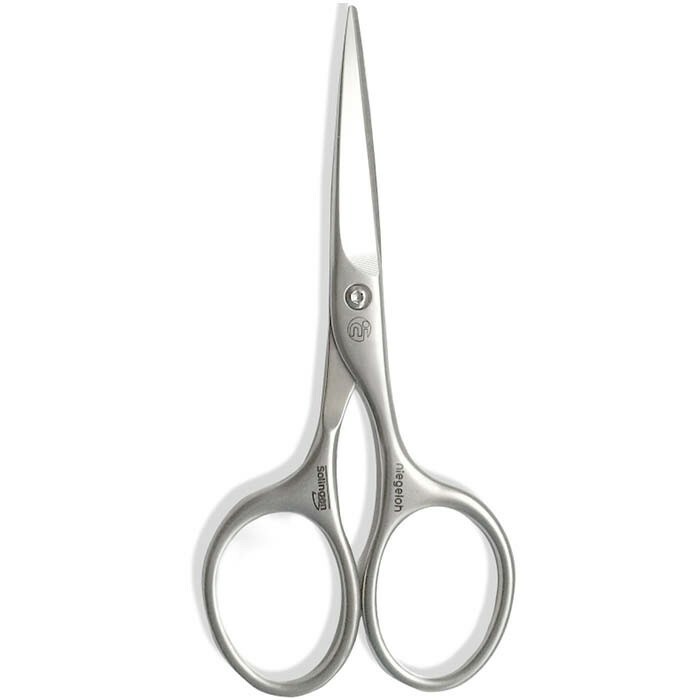 High Quality Beard Scissors Made of Inox Stainless Steel With Super Smooth Satin Finish.